It’s 5 sense week! YAY! Have you been enjoying all these exploring senses posts? Me too. 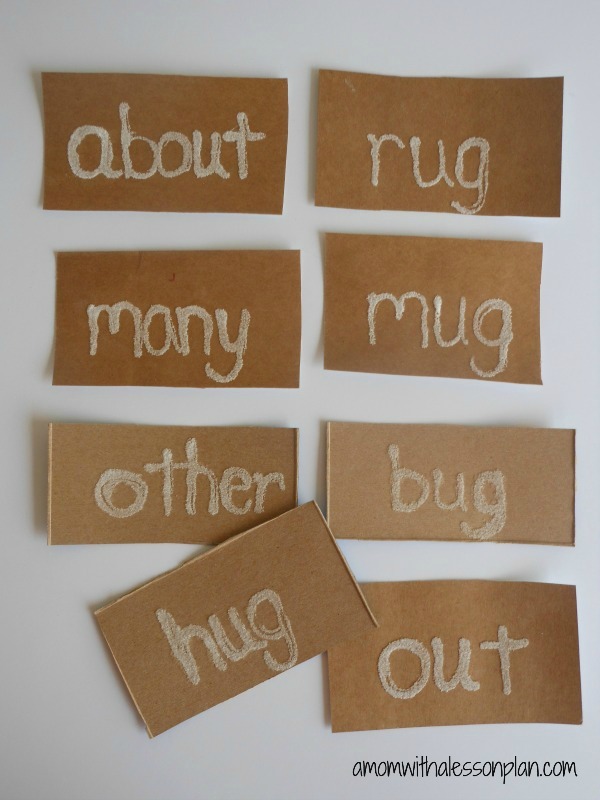 For spelling word practice I decided to stick to the lesson plan and make sensory spelling word cards. They were super easy to make and Little M loved them! We used them a few different ways, you can pick your favorite or try out all three! 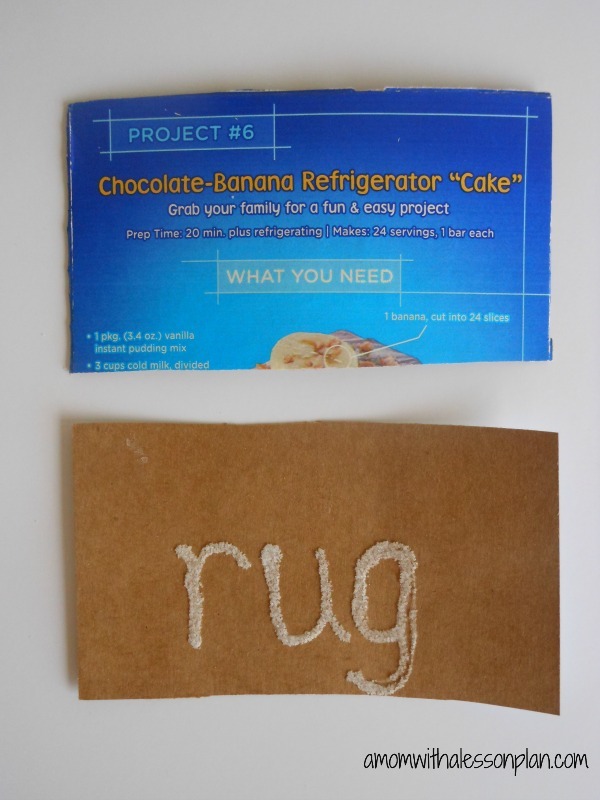 Write out the spelling words with white glue. Tip: Make sure the lines are pretty thin and you are using small amounts of glue. I learned this from some experimenting, too much glue and the letters just run together. Sprinkle salt (or sugar) on to the wet glue. Dump the salt off. Tip: Be gentle so the glue doesn’t run or smear. Dump the salt over plates so that you can reuse the salt that dumps off for the next card. Let the spelling cards dry overnight. I handed Little M the cards and asked her to explore them. She touched every letter, reading them out loud as she went. With a blindfold around her eyes and a sensory spelling card in her hand, I asked Little M to spell the word on the card. With Little M still blindfolded, I spread all the cards in front of her. I asked her to find a certain word and then spell it out loud. 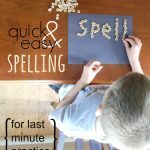 We are always looking for more spelling word practice ideas, if you have one or two leave them in the comment section! Such a cool idea. I remember learning colors and numbers this way when I was young.